FountainPen Simple distraction-free writing program added to Office/Editing directory. FountainPen has just what you need to write, with none of the clutter. A menubar, a compositions panel, a toolbar with four buttons… all can be hidden. It’s just you and your writing. It only takes a tiny bit of clutter to distract you. 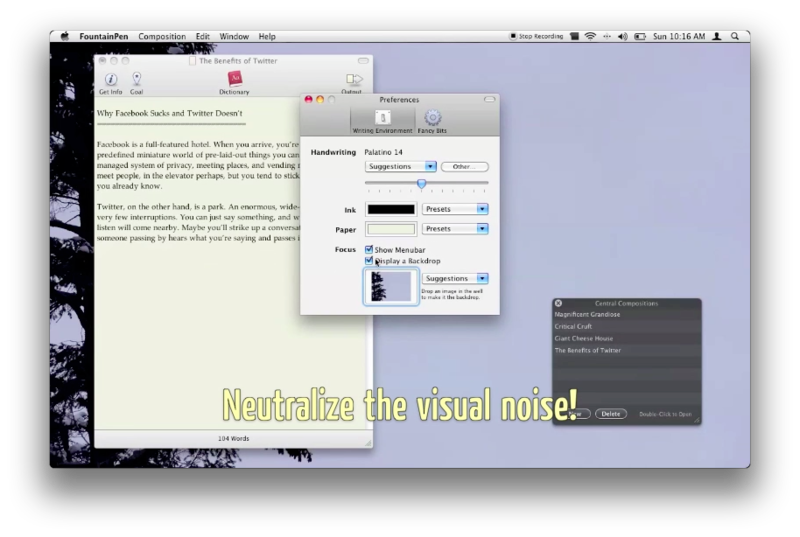 FountainPen offers several simple tools to combat this, like the Backdrop which covers up Desktop Cruft.